How do you make sure you don’t fall into the trap of picking the wrong RV or an RV that isn’t quite what you had in mind? You need a guide! 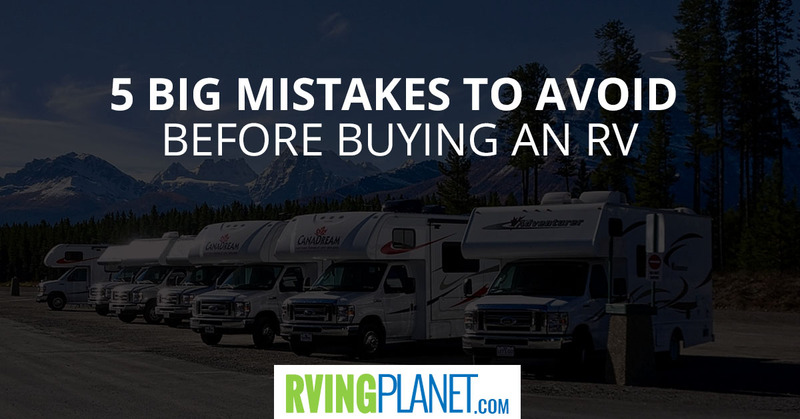 And, we have just what you need to make sure that you avoid these top 5 mistakes of RV buying. Condition is a key concept in buying an RV. Getting a new RV certainly seems more desirable, but with value depreciation at 20% the second after you drive it off the lot and roughly 10% per year after that, it can be a bit daunting to think of putting that much money in something that will usually only go down in value. However, buying a used RV can come with its challenges too. Sure, you get a lower price point, but you will also have to worry about more repairs, aesthetic improvements, and more time spent sending it to the body shop, potentially spending more money on the used RV than if you purchased a new one. So, which is right for you? A “good” RV is the one that is right for you. Our Free RV Buyer’s Worksheet is optimized to provide you with the outline for picking an RV that meets that qualification, both in the quality of the RV according to your personal preferences, as well as the price of the camper you go with. No one wants buying a luxury vehicle or trailer like an RV to feel like a chore. But a little research can save you a lot of heartache (and money) down the road. You don’t want to purchase an RV and then, a few months after using it, you find out that there is a leaking problem in the piping. You go online and do some after-the-fact research and discover that other RVers have had the same problem with the model that you are now stuck with. What do you do now? Sell it at a loss? Spend money on lengthy repairs? So much can be fixed by doing your homework beforehand. When you buy a car, you “kick the tires;” take it on test drives, sit in it, look over all the bells and whistles.When you buy a house, you go through a home-inspection period and probably take multiple trips to look at the house yourself. Buying an RV is that mid-way point between buying a car and a house. So, you should consider it as an investment to do twice as much work when researching. Our Ultimate RV Buyer’s Guide is outfitted to help you in the research process to make it simpler, faster, and ensure that your RV ends up being exactly what you’re looking for. 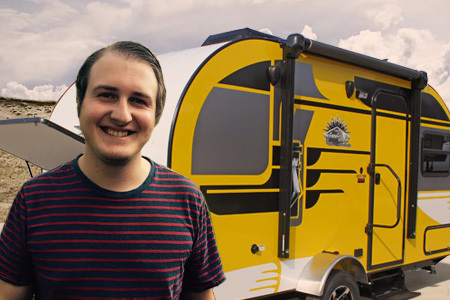 It’s your first time buying a camper and you decide to go all out and purchase an economical travel trailer that you think is small enough to manage. Then, on your first trip, you find that you are tripping over yourself and all of your things. You don’t have enough space to really stretch out and feel more cramped than ever when you are supposed to be enjoying life on the road. When you are buying an RV, you absolutely need to purchase one that is specifically suited to your current financial and experiential capabilities. You don’t want to be in the market for a luxury travel trailer and end up with an expandable that doesn’t have enough sleeping space for the entire family. Make sure that you purchase exactly the size of RV that will suit your family and your particular preferential style of camping. I mentioned this earlier, but it’s important enough to need its own section. The tow weight is imperative to consider when purchasing a towable RV, like a travel trailer, fifth wheel, towable toy hauler, pop-up, and so on. What is tow weight? Essentially, it is the amount of weight that your vehicle is able to tow, based on its weight class, chassis, and engine. This varies a lot between vehicles. Many vehicles will have outlines of their towing capacity on their user manuals, which makes it easier, but some vehicles don’t have towing capacities at all. For instance, a hybrid sedan is unable to tow most RVs, including lightweights and pop-ups. You need to do your homework on the tow weight of any RV you are considering to make sure that you have a vehicle that can pull it as well as the extra weight of any gear that you plan on bringing. We have RV towing guides to help you figure this out, as well. No one likes dealing with the numbers of buying an RV. Adding up percentages and interest rates on financing, or trying to figure out how much down you can put on an RV is stressful, tiresome, and can even be a bit frightening when you start seeing the big numbers. 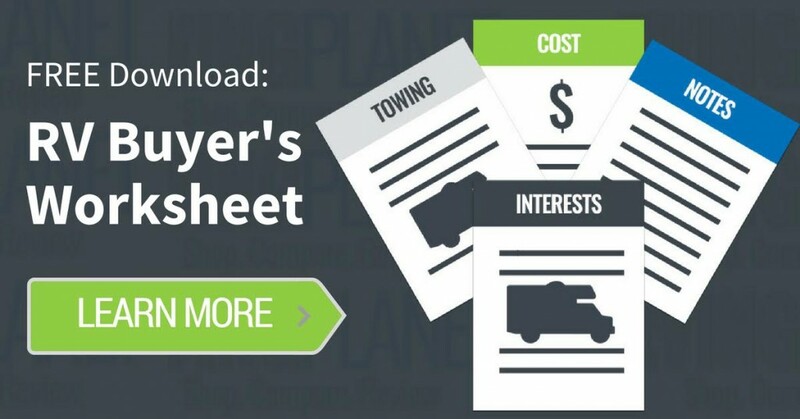 But, using a worksheet like our Buyer’s Guide helps iron out all of these thorny details in a simple-to-understand-and-translate way so that, even if finances are your least favorite thing to deal with, it is easy and extremely helpful in determining just what size, style, and type of RV you can afford or want to purchase. You might find that you don’t have quite enough right now to afford that beautiful class C you’ve had your eye on. But, now that you know that, you won’t get yourself into a dicey payment situation that is a bit too draining on your finances. Or, you might find that you can afford an entire class higher of RV than you thought, allowing you to get that beautiful fifth wheel with the dream king-sized bed you’ve been pining after. Our guide can direct you in this process to make it easy and even fun! So, now you’re looking for more information to help you make the most informed decision when purchasing a new RV? We have some outstanding resources to make you as informed as you like on a variety of useful subjects both when it comes to purchasing an RV as well as taking care of your RV for years after you’ve bought it. Ready to start your adventure as an RVer or “buy up” with a brand new RV? It all starts with a stellar shopping experience! Need a good place to start? Choose which type or brand you are looking for and explore your choices! Check out the hundreds of options listed here: shop RVs.